Ultrasound shows marked thickening of wall of an small bowel loop with hypervascularity of the wall and in the mesentery, which has increased echogenicity due to edema. There is some anechoic fluid in the vicinity of the inflamed bowel loop. 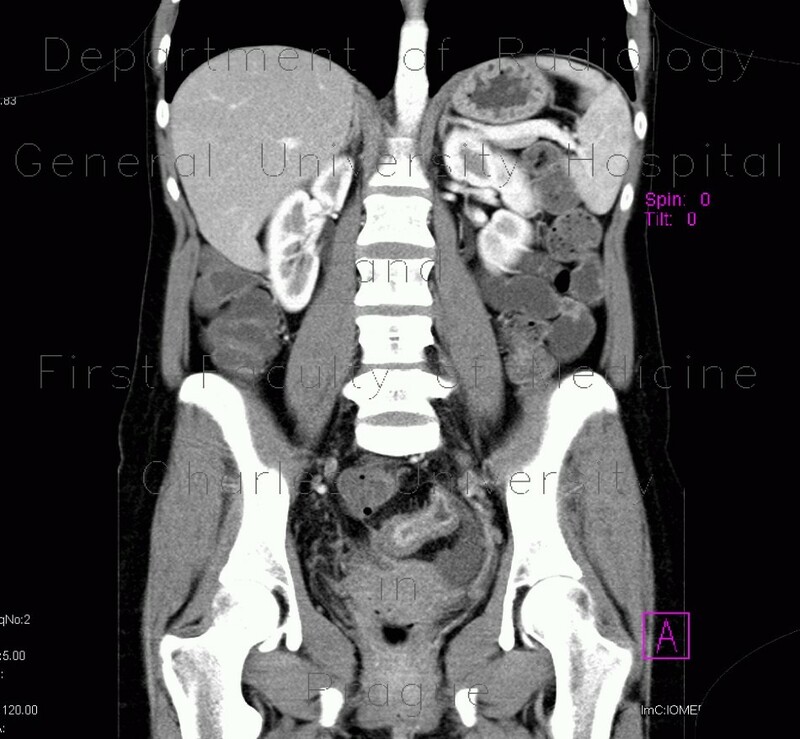 CT enterography shows inflamed loop of aboral ileum with increased enhancement of the inner layer, some ascites and also inflammatory changes of a sigmoid loop.